BRYAN EATON/Staff photo. 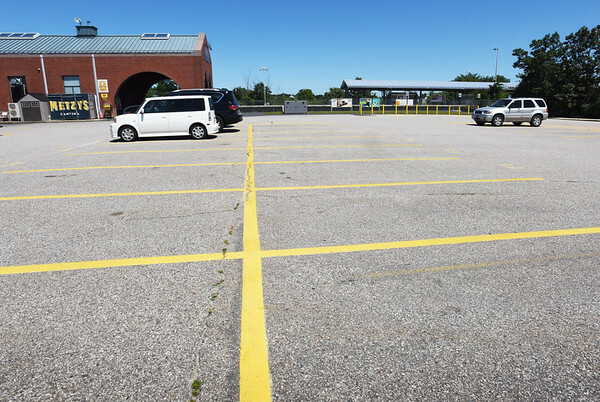 With the MBTA commuter trains not running, there is plenty of parking in the lots at Metzy's. Owner Erik Metzdorf said parking is free until rail service is restored.